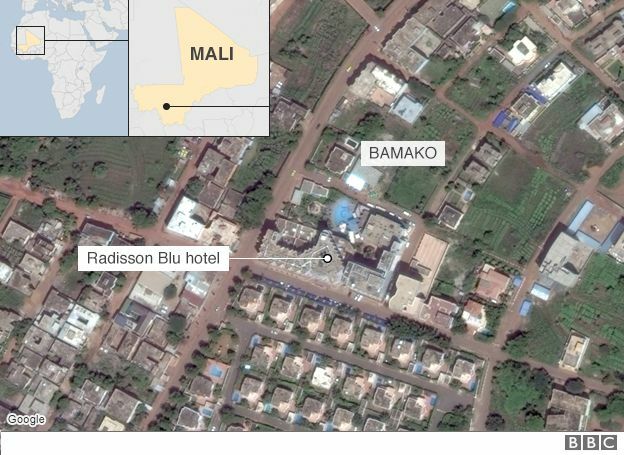 Gunmen have launched an attack on the Radisson Blu Hotel in the centre of Mali’s capital, Bamako. Two people have locked in 140 guests and 30 employees in “a hostage-taking situation”, the hotel’s owners said in a statement. Police have surrounded the hotel, which the gunmen entered shooting, and shouting “God is great!” in Arabic, a security source told Reuters. The US-owned hotel is popular with expats working in Mali. Chinese guest told China’s state news agency Xinhua via a mobile app that he was among a number of Chinese citizens trapped there. The security source has told Reuters that some hostages, including those able to recite verses of the Koran, are being freed. The AFP news agency reports that security forces have escorted two women from besieged hotel. “Apparently it’s an attempt to take hostages. The police are there and are sealing off the area,” a security source told Reuters news agency. Automatic weapon fire could be heard from outside the 190-room hotel, AFP reports. BBC Afrique’s Abdourahmane Dia says the hotel is popular with expats working in Mali. 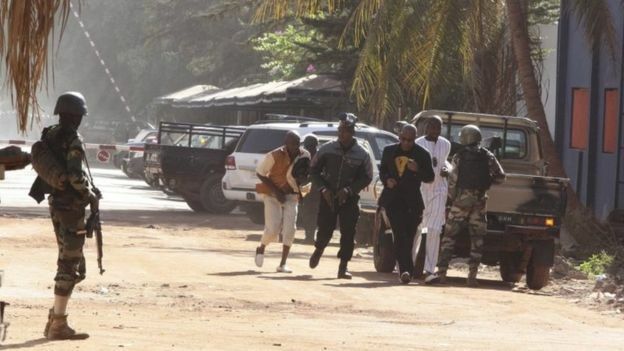 In August, suspected Islamist gunmen killed 13 people, including five UN workers, during a hostage siege at a hotel in the central Malian town of Sevare. France, the former colonial power in Mali, intervened in the country in January 2013 when al-Qaeda-linked militants threatened to march on Bamako after taking control of the north of the country. 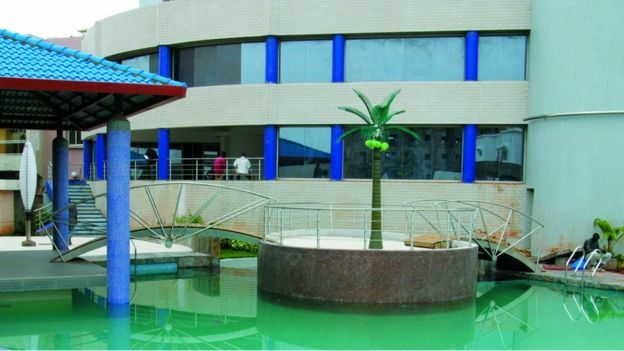 The US embassy in Bamako has tweeted that it “is aware of an ongoing active shooter operation at the Radisson Hotel”. All US citizens were asked “to shelter in place” and “encouraged to contact their families”. “It’s all happening on the seventh floor, jihadists are firing in the corridor,” a security source told AFP. Malian soldiers, police and special forces are on the scene along with some UN peacekeeping troops and French soldiers, the agency reports. Some reports say about 10 gunmen in total are involved in the attack. Other reports suggest the gunmen drove into the compound in a vehicle with a diplomatic numberplate, the BBC West Africa correspondent Thomas Fessy says. The Rezidor Hotel Group, which owns the Radisson Blu, said it was in constant contact “with the local authorities in order offer any support possible to re-instate safety and security at the hotel”. The UN force in Mali took over responsibility for security in the country from French and African troops in July 2013, after the main towns in the north had been recaptured from the Islamist militants.